Have you or someone you love been injured as a result of a defective product or service? If you have, then you could be entitled to some compensation. The Consumer Protection Act 1987: this act makes it easier to claim compensation if you can show that a defect in a product caused you injury. The Sale of Goods Act 1979: this act provides a legal requirement for particular goods and services to be fit for purpose. The Supply of Goods and Services Act 1982: the legal requirement for goods to be supplied or services to be carried out with reasonable skill and care. A consumer claim can help you receive recognition of your injury and can also help you receive financial compensation for your pain, injury, lost earnings and medical expenses. You should also consider that it may help to prevent the same thing from happening to someone else by highlighting faulty manufacturing, bad design or sub-standard service provision. Claims serve to make manufacturers aware of defects but also to enhance accountability and safety processes. But what exactly is involved in making a claim for compensation? To find out more, have a look at our section on compensation claims or click on the links below. Thompsons is an award-winning personal injury law firm. We have an excellent success rate, winning over 90% of our cases. 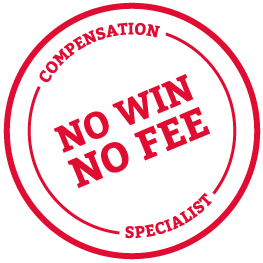 We have a large team of solicitors, solicitor advocates and other professionals who deal solely with accident claims on a No Win No Fee basis. Injured through no fault of your own? Call us on 0800 0891331 to see how much you could claim.